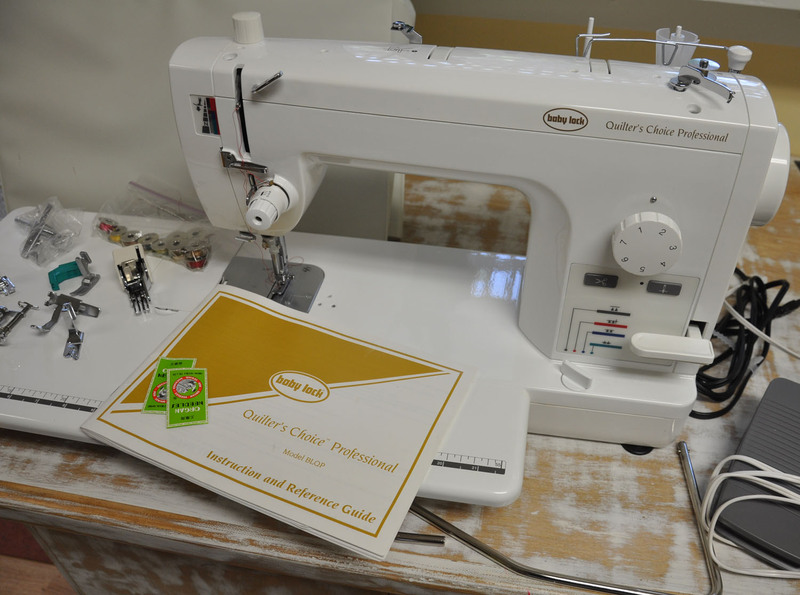 I have a Babylock/Brother Quilter's Choice Professional that I bought in May of 2003 that needs a new home. I rarely sewed on this machine because I only have room for one machine at a time in my sewing table. I realized too late that I don't like to take the time to switch out machines unless I absolutely have to. I have 3 other machines and have simply run out of room for this one. This machine goes forward and backward only – no zigzag. It is designed for both free-motion and walking foot quilting. The opening is 8 1/2". It has a knee lift. Here are the feet I have for it. I have no idea what this machine might be worth so I'm happy to take offers. I can ship it to you! I'm not sure what shipping will be, but I would guess it would be under $50 – maybe under $30. If you are interested, please leave a comment. If you aren't interested but have an idea of what this machine might be worth, please share that info too. I appreciate any help that you can give! 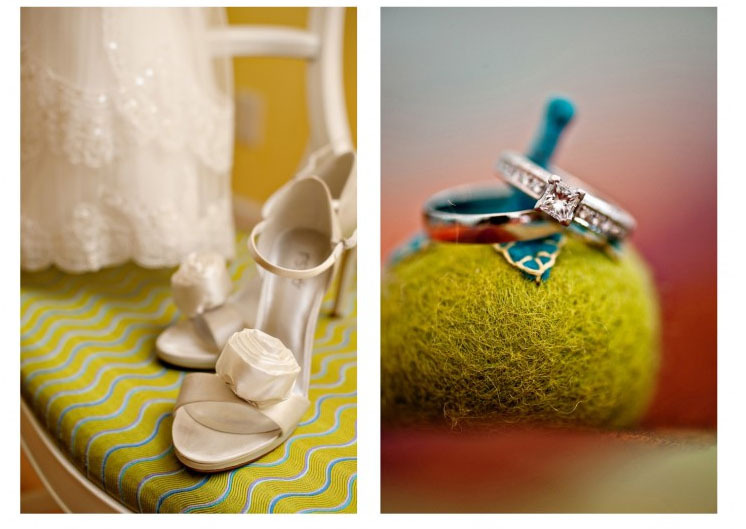 And here are two more images from the folks at ninephotography from the day of the wedding. The green wool tomato is a pin cushion I made from the big wool beads. These photographers are really imaginative! These are just amazing photos. What wonderful keepsakes for the happy couple and inspiration for the rest of us, looking at the world in a different way. Well now, I don’t think it would be economic to ship to good old Australia, certainly wish it was! Love the photo’s, they really know how to use colour don’t they? 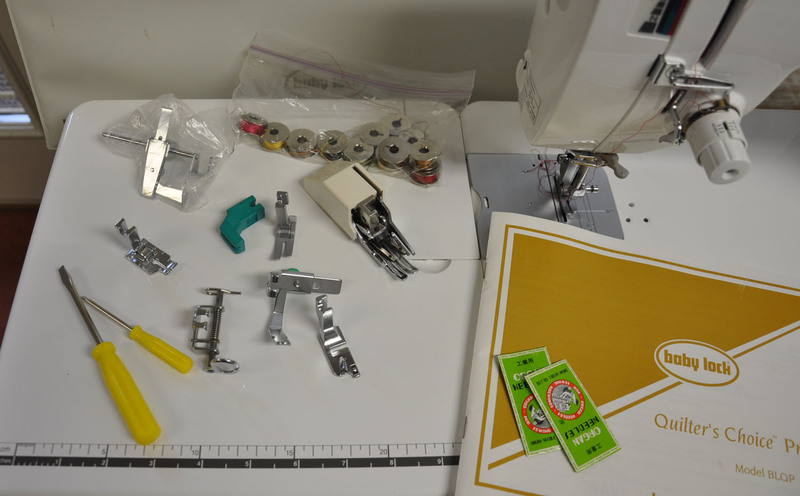 Your Babylock machine would make quilting so much easier. Are you still interested in selling your machine? Or have you sold it already? 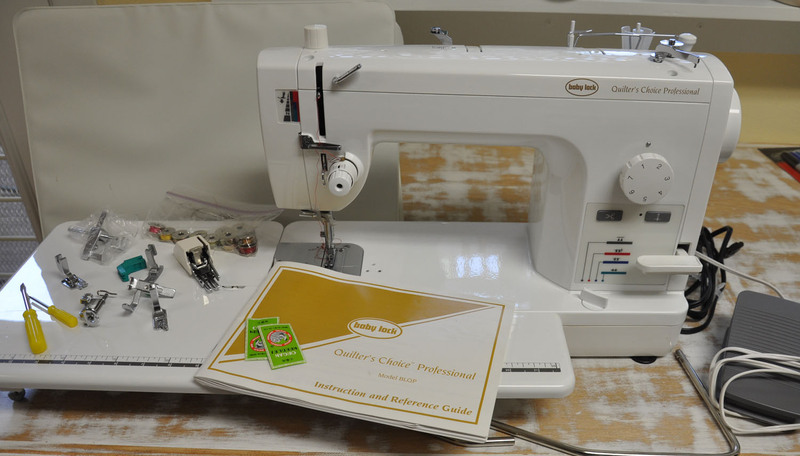 This machine would be great for doing my free-motion quilting! Please e-mail me, if you have not sold it already and are still interested in doing so! IF you still have it to sell, please let me know. This old Montgomery Ward machine (remember them?!) will not quilt a darned thing. Lucky if it even sews a decent seam. Thanks! Oops – I should have posted that I sold the machine last week. It now has a new home.